Mauno Henrik Koivisto was born on 25 November 1923, the second son of a working class family. A sister was born three years later. His father Juho Koivisto was a ship’s carpenter, while his mother Hymni Sofia Eskola was the daughter of a cantor. His father had experienced a religious awakening while at sea, which was reflected in the family’s life. The hardships of Mauno’s childhood included the death of his mother when the boy was ten and the practical household problems that began when his father was left as a single parent. After attending primary school Koivisto held a number of jobs. When the Winter War broke out in 1939 he joined a fire fighting unit at the age of sixteen. When the Continuation War erupted, Koivisto enlisted in the volunteer field fire fighting forces. In February 1942, having reached call-up age, he was first sent to a training centre and then served at the front in the 35th Light Infantry Regiment in Eastern Karelia until February 1944. 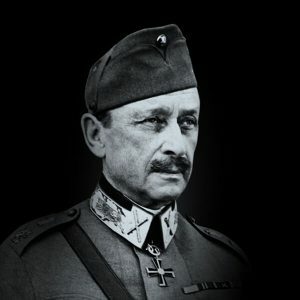 He then became a member of a light infantry company – led by the legendary Lauri Törni (Larry Thorne) – in the 1st Division. 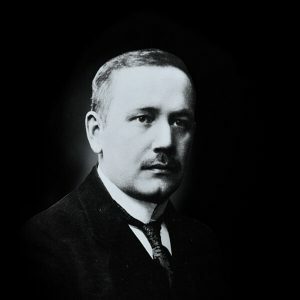 Koivisto later referred to the influence of the war: “When you have taken part in a game in which your own life is at stake, all other games are small after that experience.” He developed into a thinker who would weigh the issues on all sides before speaking with a real sense of purpose. After the war Koivisto began to take a real and active interest in politics and in making a political impact. He joined the Social Democratic Party in a situation that required taking a stand and showing courage. 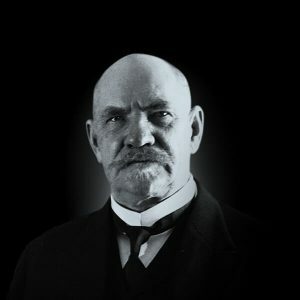 At a strike meeting of carpenters in Turku, Koivisto criticised the methods being employed by the strikers and attracted the interest of the Turku Social Democrats. After this Koivisto and Rafael Paasio, editor of the publication Sosialisti, met for the first time. Alongside his activities with the Social Democrats and working as a harbour master and port inspector, Koivisto also studied at evening school and graduated from upper secondary school in 1949. In summer 1950 Koivisto left his harbour work and took a job at a strawberry pickers’ camp in England. The following year he became a temporary primary school teacher. During this period he married Tellervo Kankaanranta in 1952. Their daughter Assi was born in 1957. Mauno Koivisto resumed his studies and earned his Master of Arts and Licentiate in Philosophy degrees in 1953. Three years later he published his doctoral dissertation entitled “Social Relations at the Port of Turku” based on his own experiences. Koivisto’s studies and the work on his dissertation brought him into contact with teachers of the social sciences and with young researchers. He was also a member of the Academic Social Democratic Association in Turku. His plans for a university career changed when he was offered a job with a workers’ savings bank in Helsinki, Helsingin Työväen Säästöpankki, first as the bank’s deputy manager and from October 1959 as its general manager. His new duties introduced Koivisto to the everyday world of economics and finance in Finland. 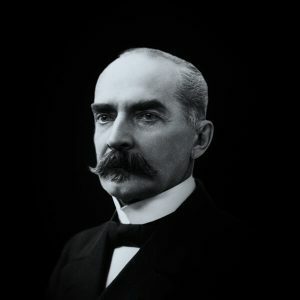 After moving to Helsinki, Koivisto joined a group of young economic theorists who believed in the opportunities of economic policy. 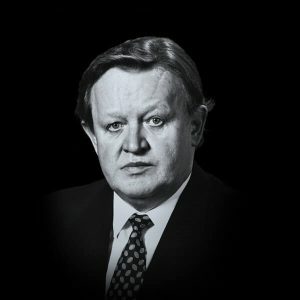 He was also active in founding the Social Democratic Association for Social Policy, the most famous member of which was Pekka Kuusi, author of the book “Social Policy for the Sixties”. 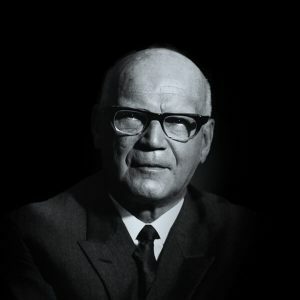 As he sought opportunities for resolving conflict within the Social Democratic Party, it became clear to him that in order to escape from isolation it was necessary to forge relationships in three directions: with Kekkonen, with the Communists and with the Soviet Union. Koivisto never ran for Parliament. An important milestone on the road to positions of national leadership was Koivisto’s anticipated appointment as Minister of Finance in the cabinet of Rafael Paasio in 1966. In the second half of 1967, during the Paasio government, Koivisto was in great demand. First he was chosen as Managing Director of the Elanto retail chain and then as Governor of the Bank of Finland. When the Social Democrats and Communists won the parliamentary elections of 1968, Koivisto became Prime Minister. Koivisto’s first cabinet was forced to make important decisions. Finnish society was undergoing rapid transformation. Major decisions in the area of social policy included an alcohol law, a separate law dealing with medium-strength beer and an abortion law. The government parties suffered major losses in the 1970 elections, yet Koivisto himself remained popular. One factor was the new medium of television. Koivisto appeared, for example, as a guest on the popular current affairs series Jatkoaika (“Extra Time”). He presented himself in a frank, boyish, unceremonious manner but at the same time left the impression of a reflective and fundamentally aloof new type of political leader who did not lack the tactician’s political eye, either. He even inspired a TV and film character, Vara-Manu, who was played by Ismo Kallio, an actor from Turku. 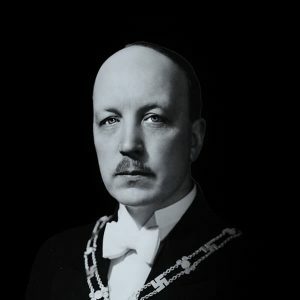 Tellervo Koivisto was also active in politics, serving for one term in Parliament, as well as in the electoral college and later in local politics. She too shed light on her husband’s personality with typical laconic humour in television interviews. The Koivisto couple became a popular institution in Finland. 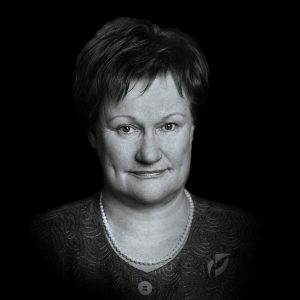 The Koivisto government’s first term also faced serious issues in the fields of foreign and trade policy. The first crisis came with the occupation of Czechoslovakia by the Soviet Union on 21 August 1968. Koivisto admitted later that he wept openly upon hearing the news and stated that it brought out the uncertainty, even the evil, of the world. Koivisto’s first government came to an end with the elections of 1970. After the elections of 1972 Koivisto was appointed Minister of Finance again as part of Paasio’s second government. 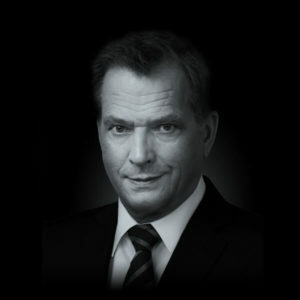 Koivisto’s position was strengthened in the late 1970s as Governor of the Bank of Finland as when Kalevi Sorsa was Prime Minister. Koivisto served as Prime Minister again from 1979 to 1982. In the first months of 1981 President Kekkonen began to regret Koivisto’s appointment as Prime Minister and to lean towards the side of those who wanted to get rid of him. Koivisto refused to resign, however, and appealed to the legal notion that in Finland a government should first and foremost enjoy the confidence of the Parliament and not of the President. 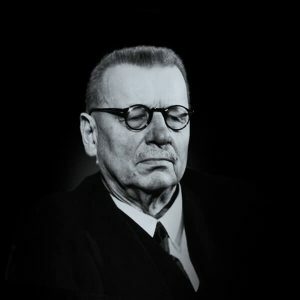 After Kekkonen withdrew from his post because of illness in October 1981, Koivisto was able to launch his election campaign from the position of acting president. Presidential elections were held prematurely in 1982. Both Tellervo and Assi Koivisto were electoral college candidates, and Tellervo attracted a record number of votes – more than 50,000. When Mauno Koivisto was questioned on relations with the Soviet Union, he replied that they were nothing to boast about; and this answer merely increased his popularity. Koivisto did not wish to be elected with the support of Moscow. Koivisto was elected in the first round. A reflective president who listened to his audience was well-suited to dealing with the dissatisfaction aroused his predecessor, who had operated by means of commands and blistering letters. In the 1988 elections Koivisto further increased his support in all voting districts. A new voting procedure was introduced during these elections in which the people voted for both the nominees and the electoral college members. 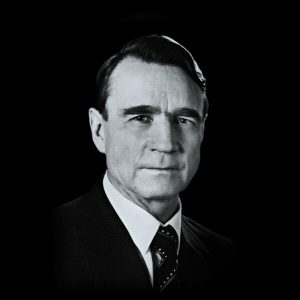 Mauno Koivisto’s two presidential terms from 1982 to 1994 represented a period of profound change. Initially he emphasised that he would continue Kekkonen’s policies, even though his support was based largely on the fact that he was different from his predecessor. He remained cautious in terms of foreign policy, adhering to a legacy of non-alignment. In spring 1990 Koivisto made a public statement in which he proposed that any Soviet citizen with Ingrian Finn ancestry be enabled to immigrate to Finland as a returnee, as a result of which approximately 30,000 Ingrian Finns – descendents of Lutheran Finns who had settled in the historical region of Ingria in the 17th century – did in fact repatriate. 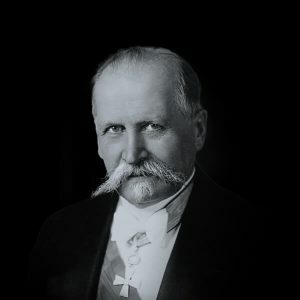 Koivisto’s domestic policies were marked by steps to restrict presidential powers and to limit the number of presidential terms to two. When the Soviet Union disintegrated in autumn 1991, a great change of course occurred under Koivisto’s leadership. In September 1991 Finland became free of the Treaty of Friendship, Cooperation and Mutual Assistance (YYA Treaty) between Finland and the Soviet Union and of some restrictions imposed by the Paris Peace Treaty, and it oriented itself towards membership of the European Union and cooperation with NATO. In this way the play-it-safe man became the leader in radical changes when he thought that the time was ripe. President Koivisto has written his memoirs and numerous other political works. He has reached the highest age of any Finnish president to date. Mauno Koivisto has a park named after him in Töölö and a square in Kamppi.